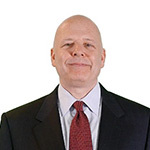 Shep Hyken is a customer service and experience expert, professional speaker and best-selling author who works with companies and organisations seeking to build customer and employee loyalty. His articles have been published in hundreds of publications and he is the author of Moments of Magic, The Cult of the Customer, Amaze Every Customer Every Time and The Amazement Revolution, which appeared on the New York Times best-seller list. In 1983, Shep founded Shepard Presentations and since then has worked with hundreds of clients ranging from Fortune 100 organisations to companies with fewer than 50 employees. His clients include American Airlines, AAA, Anheuser-Busch, AT&T, AETNA, Abbott Laboratories, American Express. He is known for his high-energy presentations which combine valuable information with entertainment to create exciting audience events.